It's always an exciting time when we welcome an intern to join our team. With the upcoming move to our new studio space, we're especially elated to have the extra set of hands. We're also thrilled to show this aspiring entrepreneur what business ownership is really like! Meet Emily Tempchin! 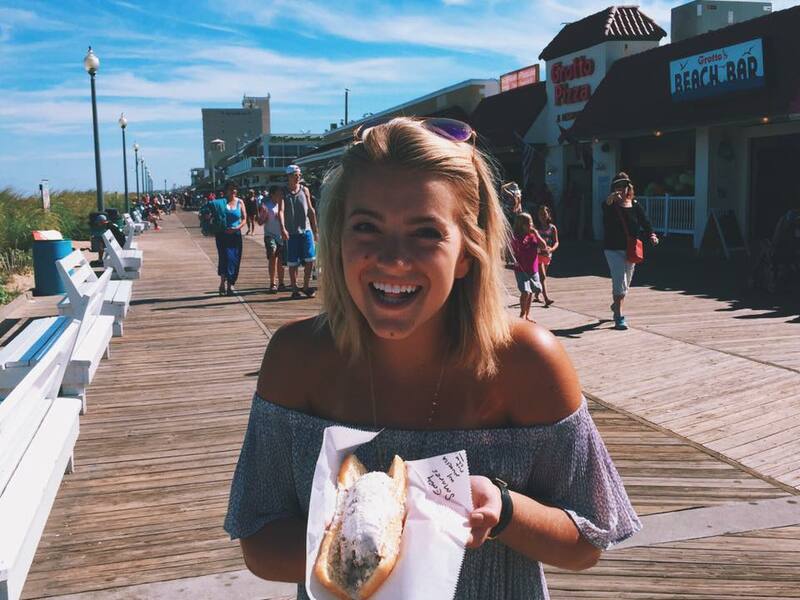 A University of Maryland student and professional cheerleader, she joins Marigold & Grey as our fall intern. Obviously, she's mastered the art of multitasking with such a busy schedule and we're honored to be included in her fall lineup. Without further adieu, let's hear from Emily in her own words. Hi! 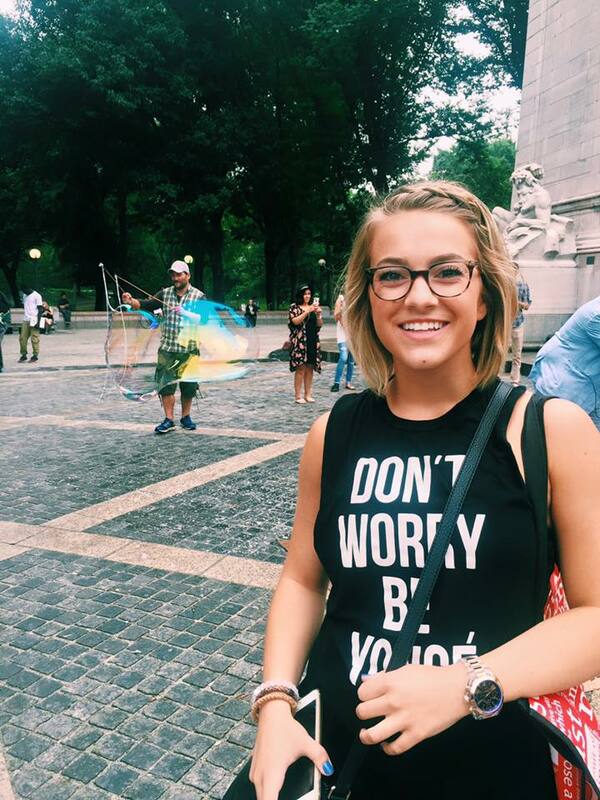 My name is Emily Tempchin, and I recently started my senior year at University of Maryland. I am a Communications major who is very interested in all aspects of social media. I have a passion for fitness and living a healthy lifestyle (with a few pizza days, of course!). 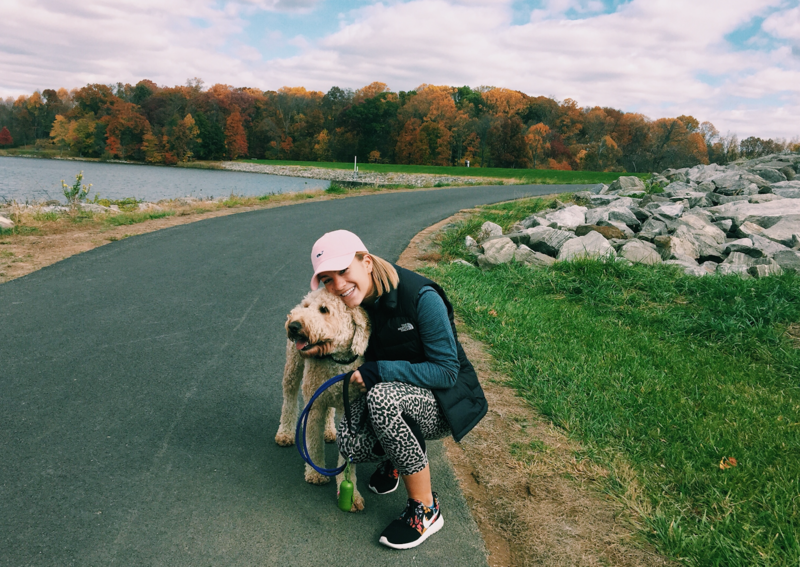 I love going for runs with my puppy, Lucy Rose, and am currently on a mission to complete my New Year’s Resolution of running 600 miles this year. I am also a huge Washington Wizards basketball fan, and recently started my 4th season as a professional NBA cheerleader for the team. I’m ecstatic to begin this amazing opportunity with Marigold & Grey and to further explore my artistic side! Besides having the opportunity to exercise and enhance my social media skills, I can’t wait to learn about the many other aspects of working for a small startup. I love all things DIY, so I’m especially looking forward to helping with gift production. Overall, I’m thrilled to have the opportunity to learn from such driven and inspiring women throughout my internship at M&G! Last summer, I was a media intern at Chesapeake Public Strategies, a small lobbying firm in Rockville, Maryland. I assisted in media monitoring and social media, website upkeep and management, event assistance and coordination, and outreach. Chesapeake Public Strategies taught me the value of working together as a small team to help cater specifically to each client’s needs. What would your dream wedding consist of? I have a slight obsession with Whitney Port’s Palm Springs wedding. It wasn’t only the pineapple-incorporated centerpieces and jaw-dropping three-stack ring set that lead me to obsess over this wedding, but it was also Whitney’s show-stopping high-low lace applique dress. Her keen fashion sense shined throughout the entire wedding, as not a single detail was left untouched. Incorporating anything that resembles any aspect of her special day in my own wedding would be a dream come true. What’s your favorite thing about Marigold & Grey? I really love the fact that M&G provides various options for gift basket selection to cater to different types of clients. The three gift selection options provide a unique experience for clients to ensure that gift giving is as stress-free for them as possible. From grooms who aren’t quite sure what to give their groomsmen to brides who can envision every detail of their ideal ‘thank you’ gift to corporate event planners who want to incorporate company logos, Marigold and Grey works with each individual client to provide them with gifts that they are thrilled to share. I hope to one day own a specialty startup company that combines my passion for dance with my artistic ability. Five years from now, I would love to have established this company, while still finding enough time to travel and learn from other startups for inspiration. Join me in extending a warm welcome to Emily and stay tuned as she'll be making some more appearances on the blog over the next couple of months!